Editor's reply: Spawn #1 (click for current eBay listings) is not a bad comic, considering it was released in 1992. It's worth $60-70 in CGC 9.8, but it will cost you $30 to have it certified and slabbed! It's one that is unlikely to increase in value in future years, because so many were printed. There are likely tens of thousands of these sitting in warehouses. Comments for Spawn #1 Value? My spawn number 1 does not have the bar code at the bottom. Does that increase the value a little bit? 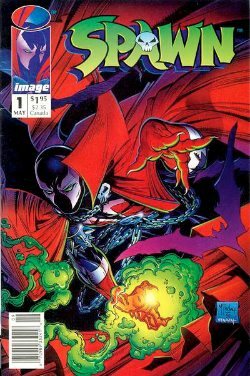 Not sure if anyone else has seen this, but I have a #1 Spawn comic incased with a spawn toy of himself. Not sure how to value this. People who are *still* saying newsstand Spawns are virtually abundant need to get a grip on the market. Spawn was not prolific at the newsstand (lol). I remember the vanishing selection at grocery stores of the time. People bought Image comics from shops and mail order. Reports that newsstands comprise 1-2% of the print volume are not incredible. And no one knows how many got recycled in 1992. If you think that stated disproportion doesn't correlate to the price difference, remember that the distinction is actually trivial (lol) and not many people place value on it. 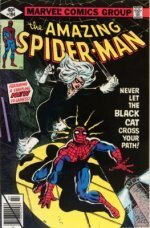 Even if there are tens of thousands of Spawn #1s and newsstands "in warehouses", when are we supposed to expect those who have been keeping them in inventory for 27 YEARS to make them available? When should this belief expire? There were actually less UPC code issues made than the ones without. The UPC coded ones were newsstand issues that had smaller print runs than the direct editions. The UPC issue is NOT rare. There were more UPC issues than not. They went out to grocery store racks and gas station racks. They are still first printing, but were printed a few days later than the book store editions in order to compare first sales with future demand. There were actually MORE printed with the bar codes than not. In case anyone still checks this, there is a newsstand edition with a UPC, but it accounted for less than like 1% of sales, so its really rare. It is worth way more than just a regular #1. Warehouses? Good. These flood and burn down constantly, so these will all go at once, perfect! I bout 47 copies and I have 25 left in mint condition. Spawn#1 is only worth around 8 to 9 bucks american. It is no where near 100 bucks. Even graded it can be bought for 40 bucks. 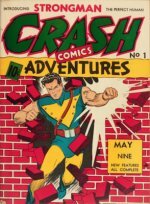 It was a mass produced comic that will probably never gain any real value. Good story though. If you don't know the difference between a newsstand copy and a reprint you shouldn't be giving advice. The one with the barcode is actually rarer and worth more. The reprints were marked "image firsts" and were noticeably different. Yourself is a redone copy if it has a bar code the original copy has no bar code on it!!! And if it does only worth about $2 and if it is real it is worth about $100!! !sorry bud. I hav a MINT #1 Spawn qit many other books. NM 98 (Deadpool),XForce #2 (Deadpool). Could anyone give me an estimated value on my Spawn first printings, 1-31, all in perfect condition, bagged and boarded since new. I have a first edition Spawn augmented by Todd M. Antony know how much it is worth being certified. I have Spawn 1-14 -- 2 sets. One with the UPC and one without. All in bags with boards ans stored in boxes for comics- never opened. I bought them to keep for my sons. Neither are interested. I have first editions of Spawn 1-14, mint condition, in bags since I bought them. Any one interested? I have Spawn 1-5 in mint condition. They have been with boards and bags since the day I bought them. Anyone interested? I found spawn #2 signed by Todd, and spawn #50 also signed by Todd, not wanting to sell but curious how much they could be worth? I have spawn 1-6 if anyone is interested.